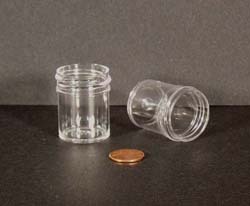 Polystyrene is a very clear plastic. 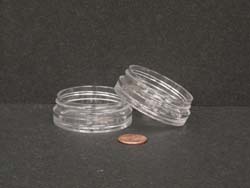 It is a hard plastic, inexpensive and it is also food grade. 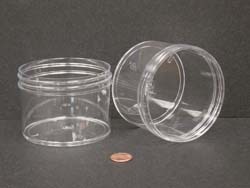 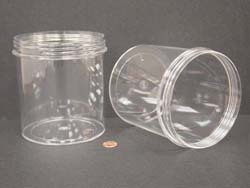 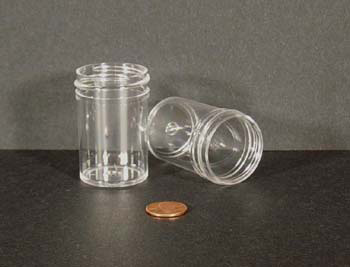 We carry a large selection of regular wall polystyrene jars from 1/4 ounce to 40 ounce sizes. 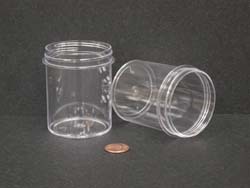 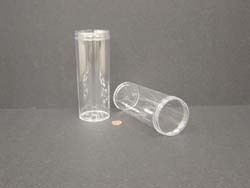 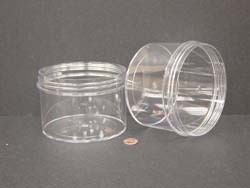 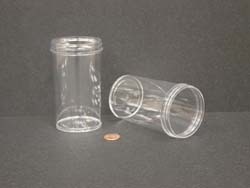 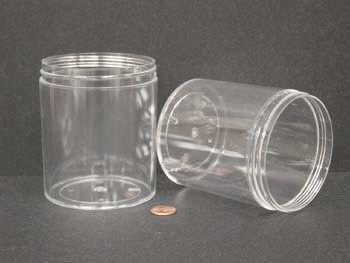 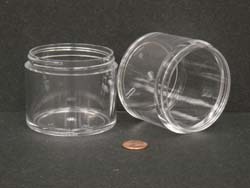 These jars are also available in a thick wall construction. 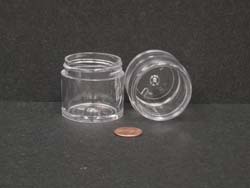 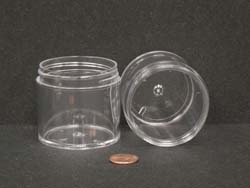 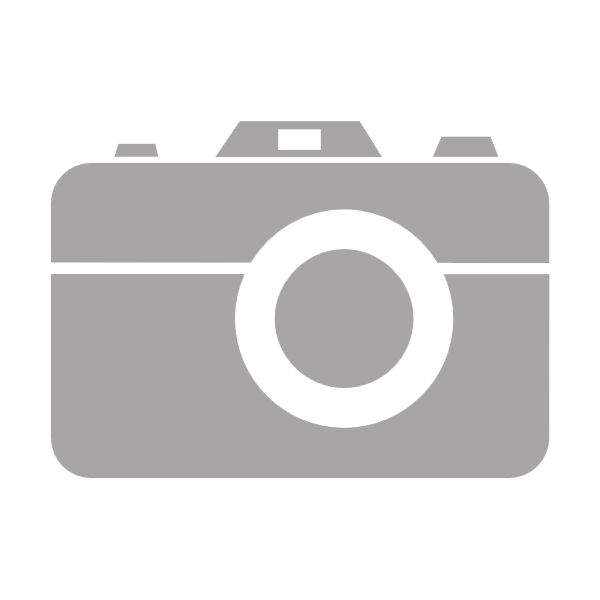 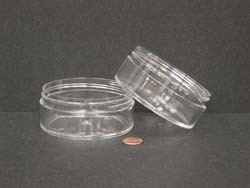 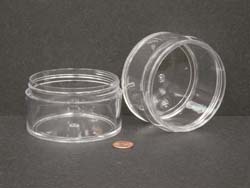 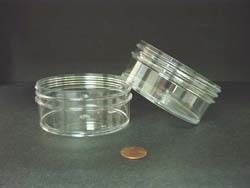 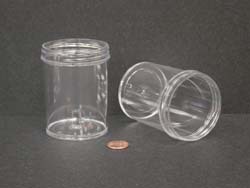 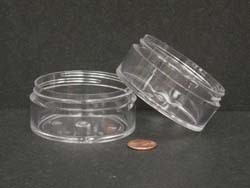 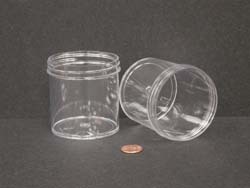 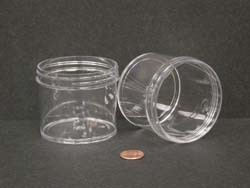 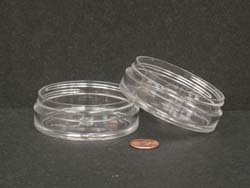 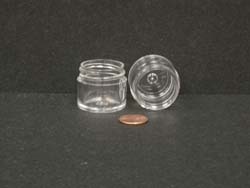 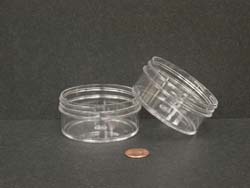 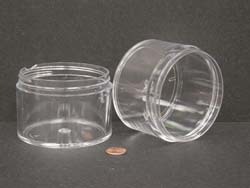 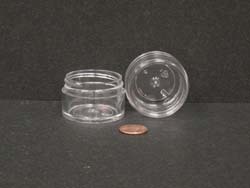 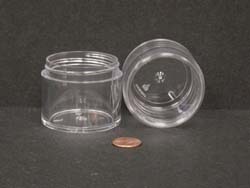 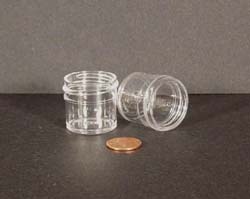 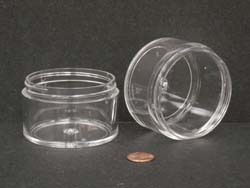 A quick explanation of thick wall jars can be found here. 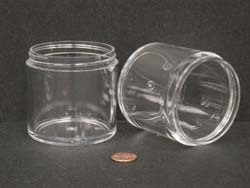 Please note that we do not stock the thick wall jars. 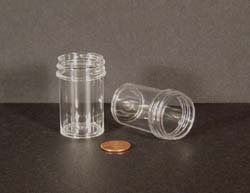 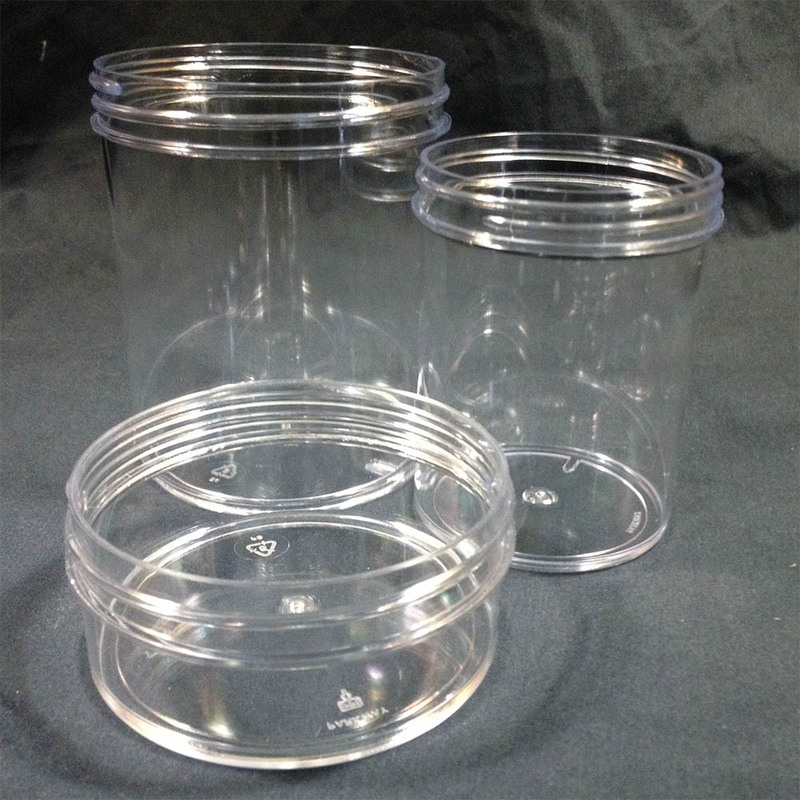 If you are interested in these jars, we will send you a sample before placing your order. 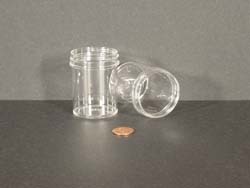 Thick wall jars are considered a custom order and, as such, may not be returned. 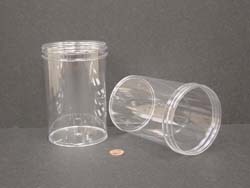 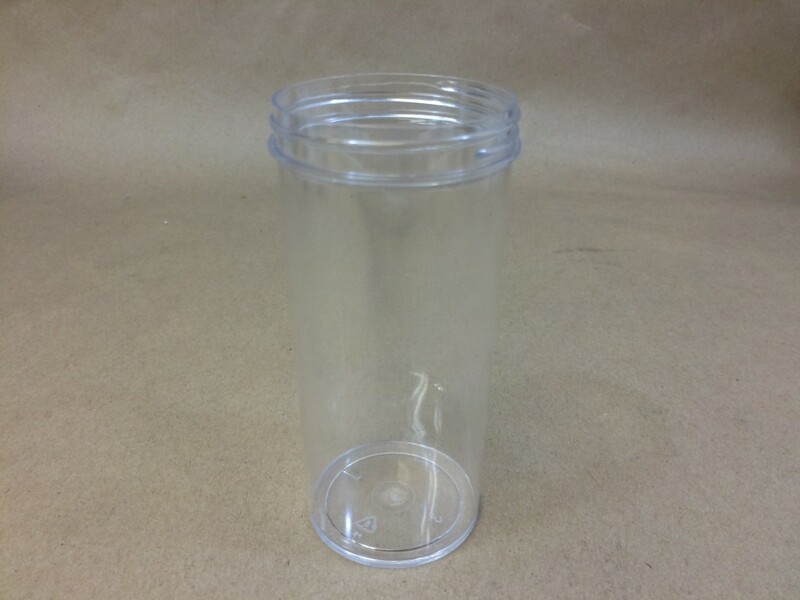 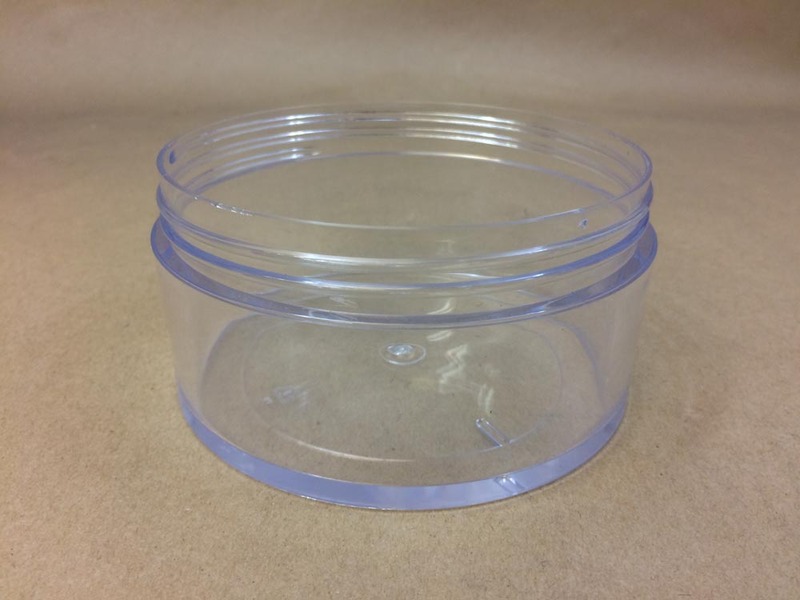 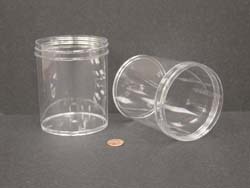 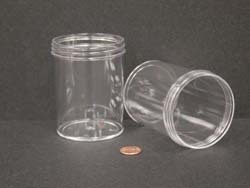 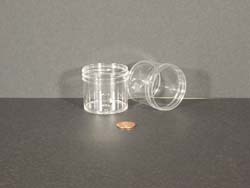 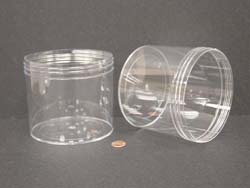 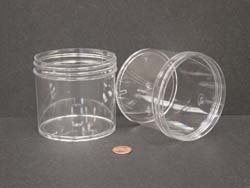 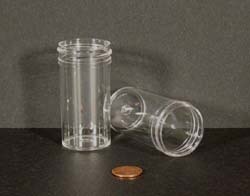 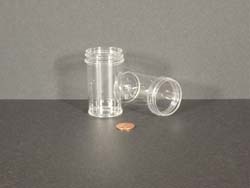 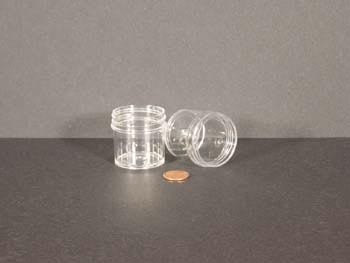 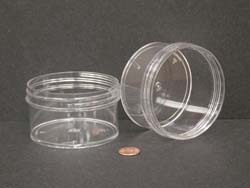 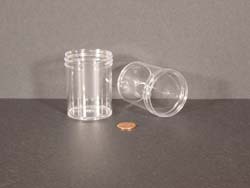 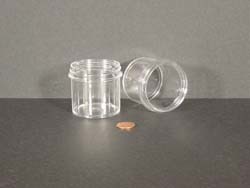 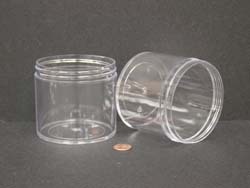 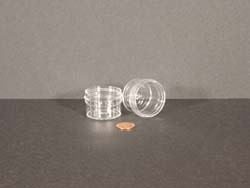 We ask that you allow time for us to obtain the sample and ship it to you so that you can be sure this is the jar you require.